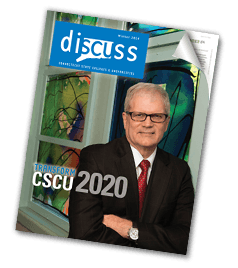 The CSCU system office publishes materials throughout the year including an electronic newsletter from the board president, and diSCUss magazine, highlighting CSCU's faculty, students and campus initiatives. 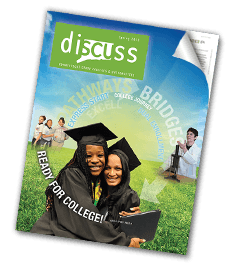 A electronic newsletter to faculty, staff and leadership at the 17 CSCU campuses. 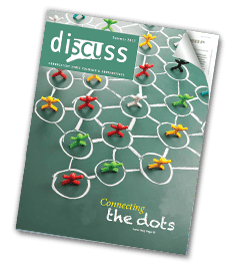 Three times a year, the CSCU system office publishes diSCUss. This public affairs magazine is dedicated to sharing some of the interesting stories and latest news across the campuses. 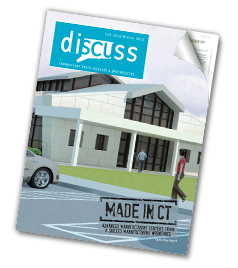 If you have a story idea for an upcoming issue, please contact Terri Raimondi at raimondit@ct.edu.